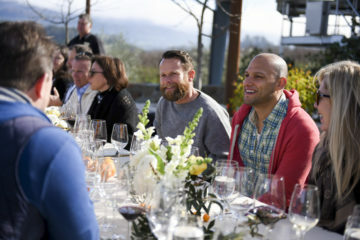 When fire struck Napa and Sonoma late on October 8, no one anticipated the five original fires would become a historic event. 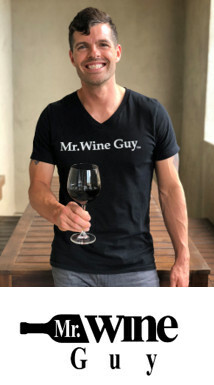 Five days later the fire has grown to over 100,000 acres burned in Wine Country leaving 33 people confirmed dead and more than 3500 structures damaged or destroyed. According to public officials this is going to be a long-term fire effecting more than eight counties north of San Francisco. 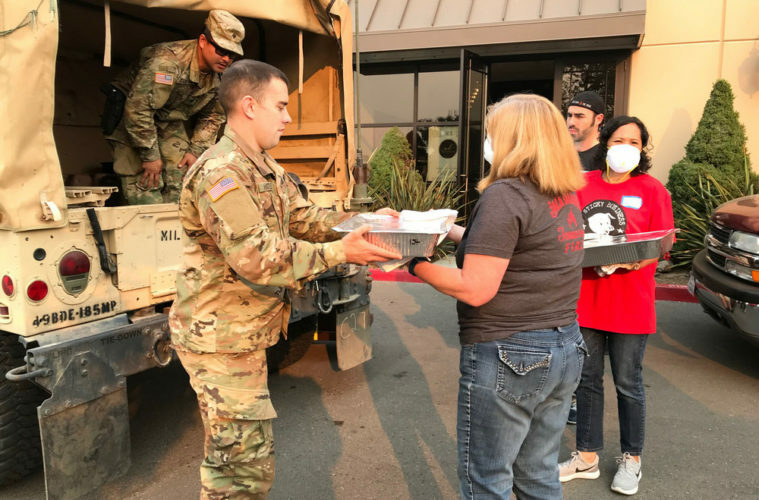 Operation BBQ Relief (OBR), founded in May, 2011, is a national nonprofit organization that travels the country providing meals to First Responders and evacuees during major disasters. 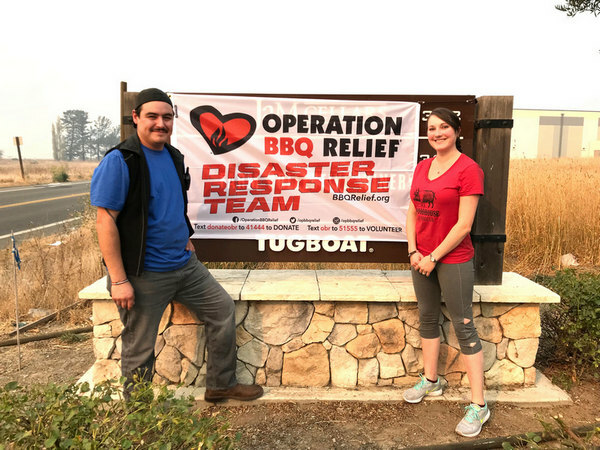 On Tuesday night, Woodhouse BBQ owner, Vince Sanchez and his wife, Christina received a call from OBR that they wanted to set up crew to feed the First Responders. 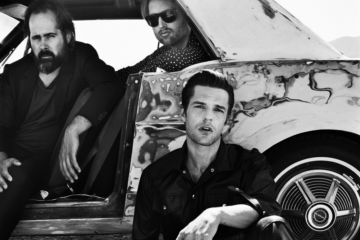 They immediately went into action and contacted their BBQ community to get cooks lined up. The first day they provided 1250 hot meals to fire fighters, police and the utility companies. But they needed more ovens. With more help coming from across the country and Canada the need to feed more workers will increase. 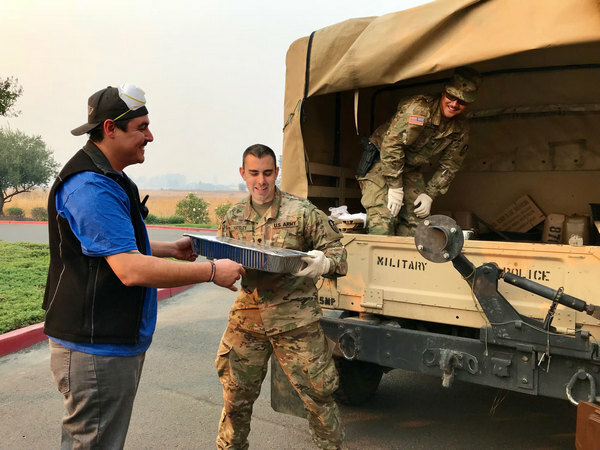 Currently there are 450 National Guard from California, 140 police officers from around the state and over 2000 fire fighters attacking one of the largest wild fires in California’s history. 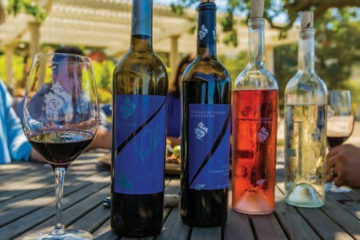 Robin and Michelle Baggett, owners of Alpha Omega Winery located just south of St. Helena are big BBQ fans and heard about OBR so they donated the use of 10 BBQ units on four trailers. 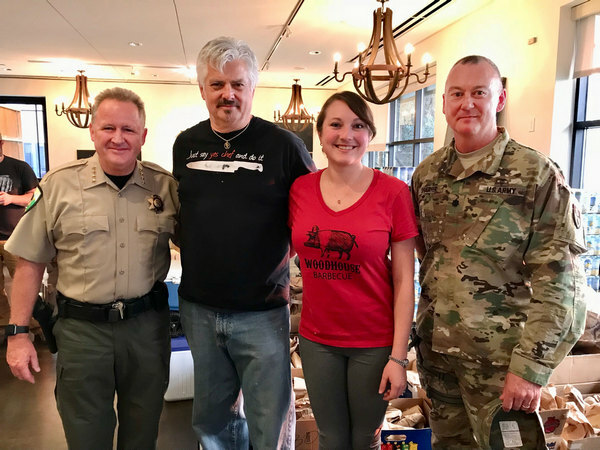 Eric O’Brien and Chris Carmichael, who work for Alpha Omega are manning the units used by 10 different BBQ companies and their teams volunteering their services. Operation BBQ Relief is set up in the parking lot in front of the kitchen for Amee D’Maris Events on Devlin Road in Napa. Here Uhaul Trucks, military and other emergency vehicles stop by to pick up meals. Inside several volunteers put meals together and snack packs for the firefighters, which include chips, apples, oranges, granola bars and caffeine chews. Sanchez said he is prepared to accommodate 5000 meals if needed. So far, all the food has been donated including 2400-pounds of meat from Del Monte Meats and many others. The National Guard did show up to pick up their meals. The volunteers took a deep breath and thought that was the last order for the night. Then a call came in from the local college, where evacuees are staying requesting 800 more meals. Everyone immediately jumped into action and Patrick Robertson, from Amee D’Maris Kitchen yelled out “Have the truck ready in 20.” Apparently, it takes just 20 minutes to put 800 meals together. If you are interested in volunteering your time to aid the First Responders’ meals, go to www.operationbbqrelief.org to register or to donate. 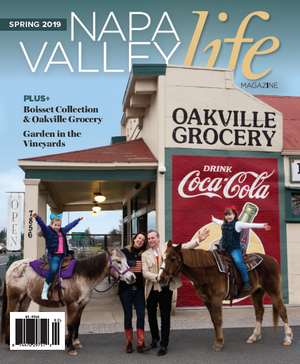 About the writer: Kari Ruel is the founder/publisher of Napa Valley Life Magazine.